Metabolites, Immune Function, and Candida - YeastInfection.Org by Eric Bakker N.D. I have discovered that patients who only partially recover and who remain feeling unwell for some time appear to have very low, low or borderline SIgA levels as well. You can read a lot more about SIgA (antibodies) in chapter 3 of the Candida Crusher book under comprehensive digestive stool analysis testing. It would certainly pay to increase your SIgA levels, that way your immune system will get a significant boost and may help to pull you out of a sustained aggravation you are going through, the SIgA antibodies form part of your immune system’s humoral response. This part of the immune system fights the enemy at a distance, unlike the cell-mediated response that fights the enemy close up. You will find that with higher SIgA levels you will be able to tolerate foods more easily, which you previously were having aggravations from in many potential ways. Is Aloe Vera Good For Yeast Infection? With a reduction in candida metabolites through boosting the cell-mediated immune response, you will find that your brain fog, fatigue, feeling unreal, stoned or spaced out will be reduced much more quickly. By boosting both aspects of immunity (cell and humoral responses), you will begin to feel better than you have for a long time, possibly even several years. This is one of the key secrets I’ve discovered to a deep-seated recovery from chronic yeast infections that I have not seen mentioned elsewhere. The best way to work on the immune system if you want to get rid of your yeast infection is to boost both the cell and humoral mediated responses, the two main branches of your immune system. This is a bit like renewing your troops on the frontline, more white blood killer cells, the cell mediated response, and giving them better weapons with a higher accuracy and more killing power, boosting the humoral-mediated response. I’m not going to give you any big or lengthy explanations of how your immune system works, but what you need to know is basically this, that your immune system works on yeast infections in two main ways. Consider this like hand-to-hand combat. This group is like the marines who are sent in first to do the dirty work; they are tough and get the job done, their mortality rate is higher. The white blood cells are killing on contact and eradicate yeasts, bacteria and other pathogens directly. The cell-mediated response can be boosted significantly by taking selenium, zinc, Coenzyme Q10, beta-carotene, vitamins B6 and B12 and vitamin E and the herbal medicines ashwagandha, astragalus, cat’s claw, mistletoe, Siberian ginseng and ligustrum. The most specific probiotic for enhancing the production of the cell-mediated T-helper cells is Bifidobacterium lactis. Omega 3 fish oils are also a very good idea, as they reduce any inflammatory response and boost many aspects of your immune system function. The other point I’d like to make it to ensure that you have sufficient cortisol production by your adrenal glands, as cortisol has a significant effect on your lymphocytes, so be sure to get a salivary cortisol test completed with the assistance of your health-care professional. 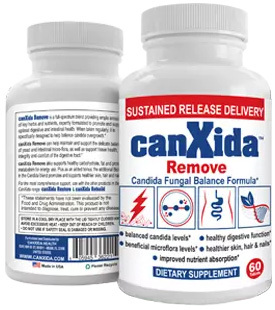 As I have mentioned elsewhere in the Candida Crusher, adrenal fatigue treatment is one of my best-kept secrets when it comes to recovery of impossible cases of candida yeast infections. Both the cell and humoral mediated responses are significantly boosted with strong adrenal function. Consider this part of your immune system. It is fighting the enemy at a distance. These guys are the snipers squads and the artillery; they either can’t see the enemy or can kill them from miles away. In this case, white blood cells produce antibodies that travel widely throughout the bloodstream and can kill yeasts, bacteria and pathogens anywhere the bloodstream will take them. The humoral response is responsible for your body’s SIgA production. Go to chapter 3, Diagnosing, Identifying and Testing For Candida yeast Infections and then read The Best Nutritional Way To Increase SIgA, you will find it under the information on comprehensive digestive stool analysis testing.